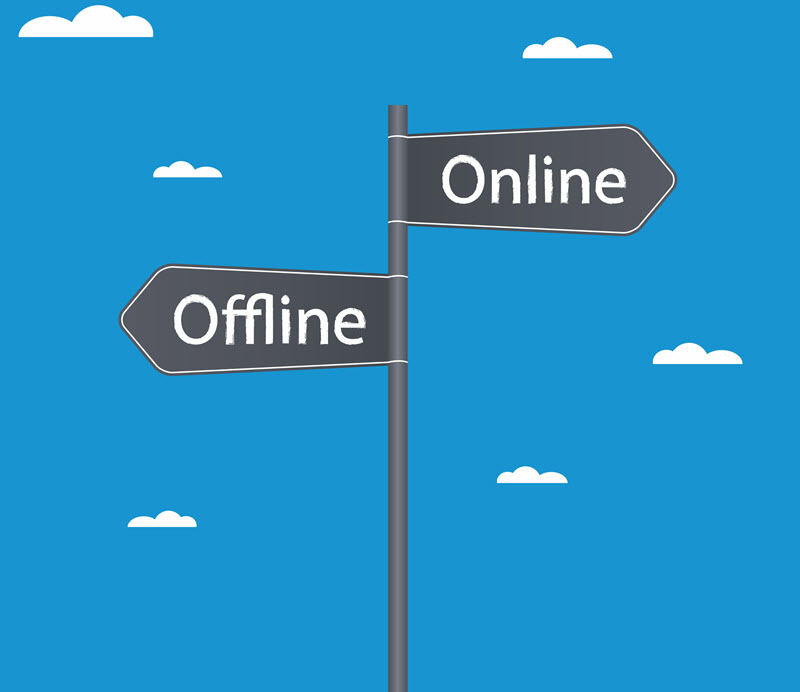 Nearly every business owner realizes the importance of an online presence. Local SEO is an important way to get your business in front of customers, but we don’t want to forget about offline marketing strategies. Although this offline marketing has seemed to go by the wayside, it still has its place when you need to drum up new business or simply spark new interest with old business contacts. Local networking groups can be a goldmine when it comes to meeting new connections, and even picking up new clients. It’s a great way to get your name out in the community and meet face-to-face with people in your town. Once you collect a few business cards from your local networking groups, you’ll need to have a follow up plan in place. Build your list of contacts and plan to reach out to prospects via phone or email over the upcoming weeks. The social CRM I use is called Nimble. An even quicker way to follow up is to immediately connect with them on social media after the event. You can make your mark at networking events beyond just attending. Offer a helping hand and volunteer to register people as they walk through the door. You’ll be the first person that potential clients see, and it gives you a chance to meet just about everyone that comes through the door. And for those of you who are more introverted, it’s a great way to have something to do at the event instead of just mingling. When you’re trying to drum up new business, carry your business cards everywhere you go. It also helps to add an incentive to your business cards such as a coupon or a free consultation. If you’re brave, you can even consider speaking at a local networking group or event for more exposure. This not only gets you in front of the entire group, it positions you as an expert, which helps to build trust. This can be a very effective method of attracting new customers. Hold a class or workshop that pertains to your business and teach your customers something new. They’ll remember your name when they need your products or services, or might even hire you right on the spot. Radio advertising isn’t dead. Contact your local show host and see if they’ll spotlight you for expert opinion or a weekly show. A local cleaning company I know was able to do that and give great cleaning tips for 10 minutes every Thursday morning. Just be aware that you will have to pay a fee to do this since you’re also given the chance to promote your business. Custom vehicle signage can give your vehicle a pop of visual interest. Include your website URL and phone number so people can store it on their phones or even scan it when walking by. Did you know you can store your business cards right on the outside of your vehicle? Check out cardpockets.com for more information. Direct mailers can get customers to call your business quickly if you have the right offer. Just remember that most people don’t buy off the first exposure to your business. It takes multiple mailings to create awareness. And if you’re sending something in an envelope, put something lumpy in the package to increase curiosity – lumpy mail is sure to be opened! Let your customers know you’re thinking about them with a friendly card, or even just a postcard to remind them that they’re due for an appointment. Your newsletter doesn’t have to be digital—people actually love print newsletters to read. And they can’t hit the “delete” button when it’s in their hands! Just be sure to grab their attention with interesting articles, puzzles, cartoons and maybe even a contest. Helping your community under your business name can quickly help you build new connections. Not to mention, you’ll be helping a wonderful cause. Your logo on a local sports team’s uniform is essentially a walking billboard. Help contribute to charity events or other causes by contributing to a silent auction. Home and Garden shows are great for local businesses with products and services for home owners. Local Chambers of Commerce also hold trade shows for B2B companies. This is all about getting your name out to a large amount of people at once. Best of all, you can answer questions and talk to potential customers right on the spot. Instead of connecting with old clients by using a sales pitch, offer to take them out for coffee. You can even forward them a useful article and let them know you’re thinking of them. Everyone likes to feel special. Give your best customers a small token of appreciation. Go the extra mile and send your customers a birthday card. You can even include a gift card as an added touch to help them celebrate. Did you deliver a great quality product or service that your customer is thrilled with? Capture it on camera by asking for a quick video testimonial. If your customers are shy, give them guidance to help walk them through the review. Drum up new business by starting a referral program. Referral business is some of the absolute best business you can get. Forming partnerships with other business can be beneficial to both parties. For example, a graphic design business would partner well with a web design business—and an attorney with an accountant. 52 thank you cards in a year can lead to repeat business—give it a try. Always focus on building new connections. Your attorney, your accountant and your insurance agent all have great connections. Are homeowners your target market? Ask about advertising in Homeowners Association newsletters. A phone call every business day is 260 phone calls per year—you’re bound to reach someone who is in need of your products or services. This will help you determine what you’re doing right in your business and how you can improve. Don’t forget to include a space for a testimonial. Everyone loves to save a buck. Encourage customers to come back for more with coupons. It’s much easier to get business from existing clients versus new ones. Create a useful product or service and market it to your existing customer base.